Whether you buy a house for the first time or want to upgrade your space, the process of qualifying for a mortgage, finding the right home, and closing with the seller can be complicated. Mehner Weiser Real Estate in Anchorage, AK, wants to help you avoid feeling stressed and confused. To make home buying smoother, here they share critical mistakes many potential homeowners make. While shopping for a house is the most exciting part of the experience, you should qualify for a mortgage first. You may become disappointed if you discover the ideal home, only to find out you are in the wrong price range or can’t make a serious offer. Once you know how much you can borrow, you can bid on a beautiful home that fits your budget. Since home inspections take time and carry a fee, some buyers bypass them. 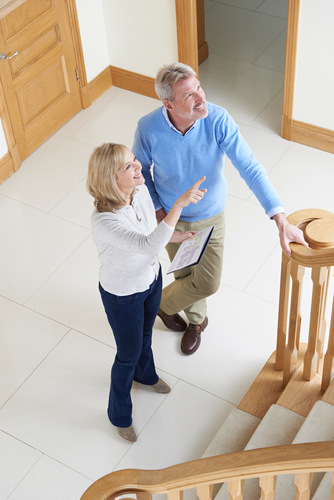 Foregoing a professional review of a property you like is a costly mistake. Expensive, hidden damage could reveal itself after you close on the house. Avoid surprises about major repairs by getting an inspection first. Some home buyers choose not to hire their own real estate agent. Instead, they work with the seller’s Realtor®. These agents want to secure the best price and terms for the seller. If you don’t have an advocate, you could be outbid or pay too much. 1. Plumbing or electrical projects -- There's a reason these are skilled trades. Both systems are complex, no matter how straightforward a repair may initially appear. Even small leaks can cause serious water damage, and faulty electrical wiring can lead to a house fire. Don't risk flooding or electric shock. Call a plumber or hire an electrician to make sure these jobs are done right the first time. 2. Renovations with possible code violations -- Structural changes require a licensed contractor. Not only can shoddy craftsmanship severely affect your home's value, but it can also put your family in danger. Accidentally removing a load-bearing wall, for example, could cause an entire room to collapse. Why take the risk? 3. Repairs involving heights -- More than 130,000 ladder-related injuries are treated in emergency rooms each year. Whether you're looking at a roof repair or trimming a tree, consider calling a professional before attempting to complete the job yourself. 4. Time-sensitive projects -- Weigh your work and family commitments before embarking on a home improvement project. Even if you're confident in your abilities, the added pressure of a tight deadline can lead to unnecessary and often dangerous mistakes. 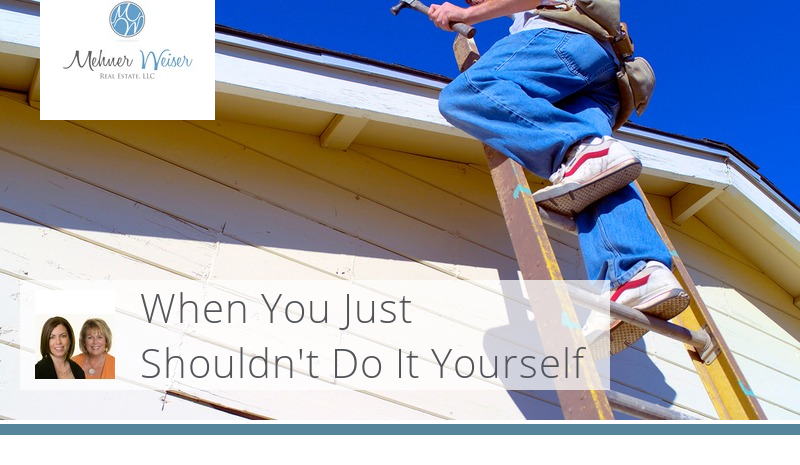 Remember, just because a DIY project looks simple doesn't necessarily mean it's safe. When in doubt, err on the side of caution and call a professional. The first step to organizing a bathroom remodeling project is setting a budget. Understanding the potential costs involved can help you decide whether you're working on a complete overhaul or focusing your resources on a few select changes. 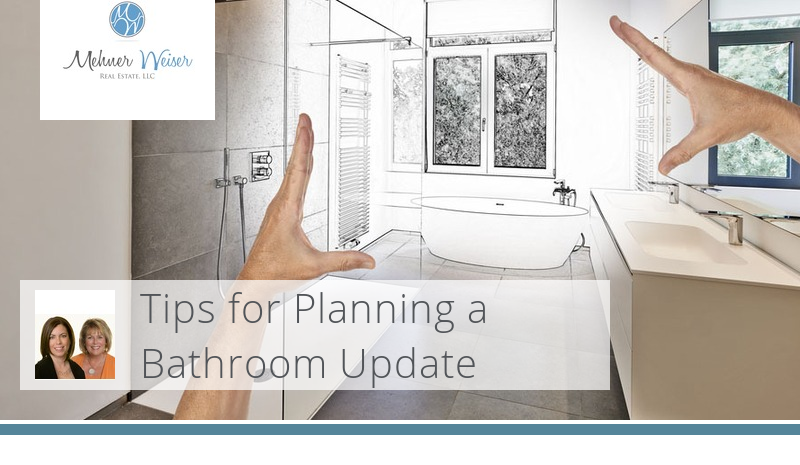 Homeowners who make bathroom updates usually hope to recover at least a portion of their investment. An upscale bathroom remodel is among the projects that see the largest percentages of value increase year over year. 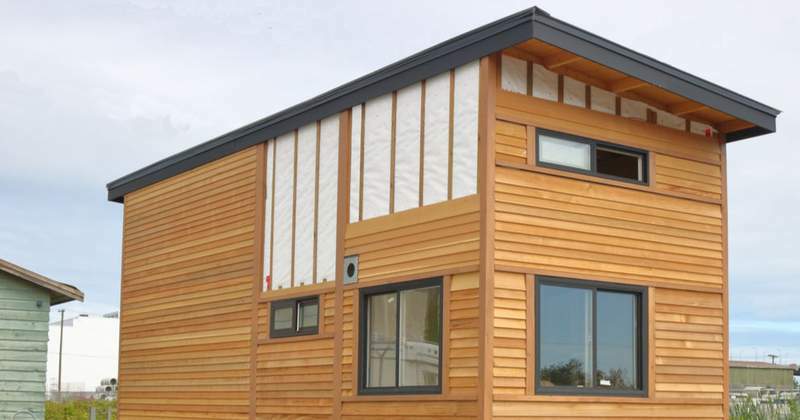 But a high-end revamp can cost tens of thousands. If you're working with a more modest budget, going with simple changes like updates to light fixtures, sinks, toilets and the like can refresh your space for significantly less. When planning bathroom renovations, it's always smart to fix what's broken first, especially since replacement projects see larger returns (74 percent) than remodeling ones (63.7 percent). Once you've tackled any necessary replacements, make investment-savvy design selections that add value for you and your family. Trade out the garden tub for an expansive shower, add granite countertops or upgrade the vanity, ventilation or lighting. Finding what most benefits your family can lead to greater satisfaction years after the project's completion. With budgeting sense and some design know-how, you'll have the confidence you need to initiate a successful bathroom remodel. Think being a good host means stressing in the kitchen while your guests enjoy the party? Think again. With a little advanced preparation, you can unlock the secrets of a stress-free holiday get-together. Choose dishes that don't have to be served piping hot, like lasagna, quiches and braised stews. Test out new recipes in advance so you can make necessary adjustments to the ingredients and perfect your prep time. Once you've got the menu figured out, prepare what you can ahead of time. Ready entire courses that will keep for a day; then heat them up just before your guests are set to arrive. Serving a signature holiday cocktail, whether it's alcoholic or family-friendly, can simplify your hosting process. If you can, find one that can be premixed and served from a pitcher. Chill other beverages in an ice-filled tub to keep your refrigerator food-focused, and position the drink station opposite the food buffet to create a nice flow and avoid bottlenecks. This will help cut back on the number of people congregating in and around the kitchen. Plan out the number of serving dishes you'll need in advance, and borrow from family and friends to supplement what you have. Want to reduce your dish-washing burden? Serve hors d'oeuvres, which can be filling and require little more than a napkin. If you do opt to use dinnerware, begin the party with an empty dishwasher so you clear plates and glasses as soon as guests have finished. 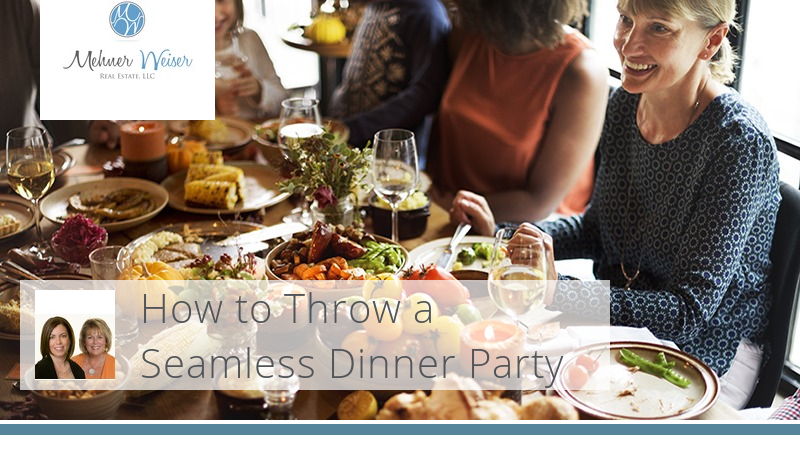 These tips will help you enjoy your gathering without the typical hosting hassles.